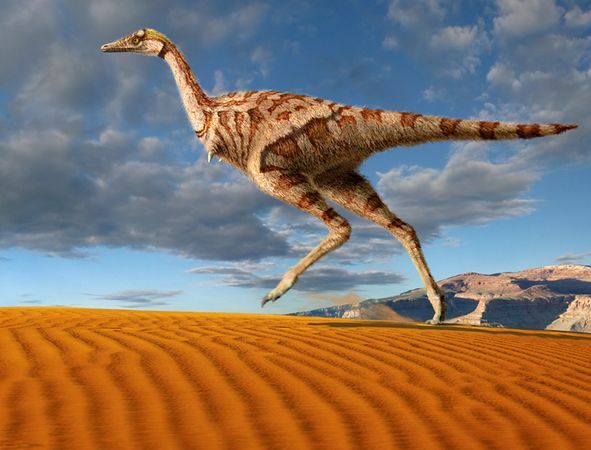 Chinese paleontologists have found the first single-digit dinosaur in Inner Mongolia. The dinosaur was a theropod, part of a class of two-legged carnivores that early on in its history had four fingers on each hand. But as time went on, the evolution of these animals was accompanied by the loss of fingers. For instance, Tyrannosaur Rex, which also was a theropod, only had two fingers. In this case, the Linhenykus monodactylus, as it was called, belonged to a family group noted by one large finger next to a couple of quasi-functional nubs. Paleontologists believe that the dinosaur lived between 84 million and 75 million years ago. It was also thought to be quite small, weighing about one pound and measuring perhaps 15 inches long from head to tail. The announcement of the discovery was made in this week's Proceedings of the National Academy of Sciences.